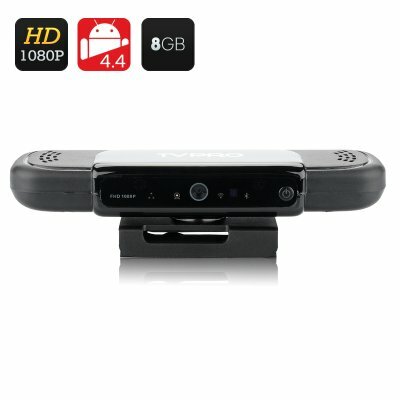 Successfully Added TVPRO Android 4.4 TV Box - 5MP Camera, Allwinner A31s Quad Core CPU, 8GB Internal Memory, 1080p Decoding, DNLA + Miracast to your Shopping Cart. The TVPRO Android 4.4 TV Box features a 5MP Camera, Allwinner A31s Quad Core CPU, 8GB Internal Memory, 1080p Decoding as well as supporting DNLA and Miracast. 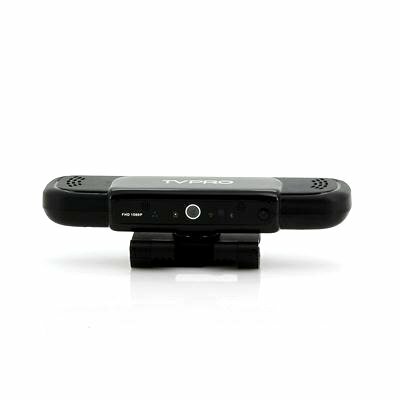 TVPRO is the primary patent pending interactive media player, which has implemented a 5 megapixel 1280x720 resolution video webcam in to the final design. Connect to your HD TV to transform it into a “Beyond Smart” multimedia hub; therefore you can enjoy the same sort of experience as you would from a computer or mobile device with the additional benefit of viewing it on a huge screen in your front room. You can quickly and effortlessly connect to the world via the RJ45 LAN port or Wi-Fi with this mini PC. Inside this TV box is an Allwinner A31s quad core chipset that can reach speeds of up to 1GHz plus there is 1GB of RAM to provide a plentiful bounty of processing power. All this power enables you to enjoy smooth multitasking, game playing or movie viewing plus with 1080p decoding, it will look simply ravishing. Coming with an adjustable bracket with a built in magnet, you can place this TV box comfortably on the TV. It can be rotated so the camera can always be facing you know where you are sitting in the front room. Watch movies and download apps directly onto the 8GB of internal memory that can be expanded by an additional 32GB by using the allocated micro SD card slot. There are two USB ports that are available for connecting peripherals plus a HDMI port for easily connecting to your TV via the included cable. HDMI is built to accommodate extremely high-resolution video, with bandwidth to spare for the next generation of HD equipment. Systems freezes occasionally and stops responding. I have to unplug it from mains to restart it. Sound is very low when using skype. Turning TV volume up does not help. Other programs run ok. (Need to check skype settings for any adjustments I can make). Online firmware update is not working. I cannot get google calendar to work.